Weary of the perfectionist cycle, I decided to just go for it. I put my art degree to work and designed professional CD packaging where the liner notes were a letter thanking her for how her ministry had supported and encouraged my walk with Christ. Finally I shipped the gift, titled Crystal and I, to the address I got from her manager, and breathed a sigh of relief. Then I waited… for a “thank you” call or “God bless you” e-mail. I got silence. Utter, motionless, devastating silence. And you know how silence kills me. Maybe it got trashed and she never received it. Maybe she received it but didn’t really like it. Maybe she liked it, but moved to Montana to live a simple life unbothered by cloying fans. Maybe she, like Prince, really hates people covering her songs. Or maybe it just sucked. 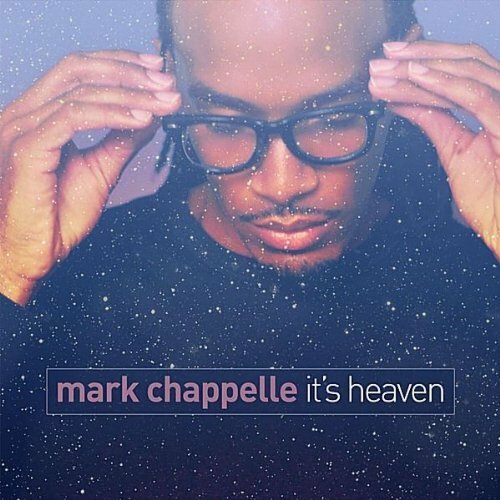 I released “It’s Heaven” as a single in early 2011, but it only got so far. My brilliant idea became an albatross around my neck. My insecurities went into full seizure. I gave up on recording. The new brilliant idea? Build a funeral pyre and burn everything. I melted like a wicked witch in water. Ohhhhhh, what a world. Now I ask myself “What is it you wanted from her?” At worst, I hoped she’d be flattered. At best, I hoped for a genuine connection with someone of like spirit to give me validation. But what if she’s not that and ain’t got that to give? Shazbat. I barked up the wrong tree. Hopefully, she at least read the letter. But the misfire of such an overreaching effort exposed a major flaw. My love wasn’t unconditional. I expected something in return, which is the wrong way to love. When I didn’t get a response, I was hurt. And as her music reminded me of my flaw, I couldn’t listen for months. That was my fault, not hers. I wrote most of this in September 2012—a year after the fail—so I could verbalize it and let it go. I wouldn’t dare publish it though, not while I still felt followed by a snarky referee signaling “incomplete pass.” But like warm feeling returning to numb fingers, the sting has subsided. Clearly my approach was overzealous and overreaching. She probably shows my picture to security now, like “do not sell show tickets to this man—possible stalker.” Womp, womp. But recovery’s going well. Hearing Crystal’s music is no longer demoralizing. Meanwhile, I’m almost ready to record again. You can laugh now. It doesn’t hurt anymore. If you’re curious about the songs I scrapped, I posted my 3 favorites: “Reach Out,” “Fearless,” and “Change My Heart” on SoundCloud. Your Most Embarrassing Mistakes Do You the Most Good (psychologyblog.com) — The only reason I should ever really publish anything like this. Sorry Prince, But We Love Covers (theirbatedbreath.wordpress.com) — God only knows why the Purple one has to be like that, but thank God the law is on our side. I’m so glad you posted this. Every time you post about a past hurt, I know that you’re only doing it because it’s a part of the healing process. When you share, that tells me that hurts do heal – even big ones. I’ve learned A LOT these past few years about unconditional love. One thing that I’m still struggling with is loving myself unconditionally. Stories like this one show me that it’s okay to feel like you’ve made a mistake. It’s okay to not know if it WAS a mistake. Yes, it hurts to be disappointed after working SO hard and investing so much time and energy in something. But, you take the time you need to process, to forgive and to heal. Over time, it gets easier. It even gets easier to not know all of the answers.